The United States is in the grips of a new foreign policy ideology—the War on Terror. According to this ideology, Islamic extremists must be defeated abroad before they can perpetrate terrorist attacks inside the United States. This ideology was forged in the fires of the World Trade Center and the Pentagon on 11 September 2001. This ideology blossomed in the days after 9/11, as anthrax-laden letters arrived at Congressional offices and newsrooms, as shoe bombers and underwear bombers boarded planes to conduct further attacks. It has reshaped what infringements the American people are willing to accept on their liberties as they board planes, talk on their cell phones, or use the Internet. This ideology has also spawned two wars, the war in Iraq and the war in Afghanistan, that have cost the United States trillions of dollars and over 6,000 American lives. And, as this work is being written, the War on Terror ideology has embroiled the United States in yet another war, this time in Iraq and Syria against the heirs to al Qaida in Iraq—the Islamic State in Iraq and Syria (ISIS). 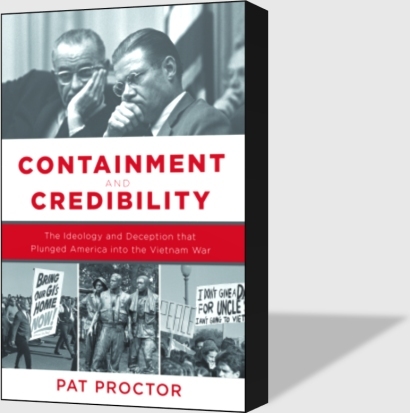 Fifty years ago, the Cold War ideology of containment was no less powerful. This ideology was forged in the fire of World War II, the bloodiest conflict in the history of mankind. It blossomed in American politics amid fear of atomic annihilation and paranoia about Communist infiltration in the 1950s. By 1964, an entire generation had grown up knowing no other framework for public debate over foreign policy; the American public believed that it was necessary to contain Communist expansion, using military force if necessary. President Johnson tapped into this ideology when he insisted that Communists were trying to expand into Southeast Asia through South Vietnam—the so-called domino theory—and had to be opposed by force. The resulting war lasted more than eight years and cost nearly 60,000 American lives. 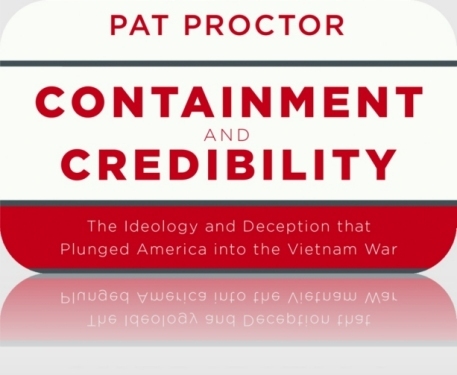 Containment and Credibility is the story of the American political debate over the course of the Vietnam War. President's Lyndon Johnson and Richard Nixon used the ideology of containment—and occasionally outright lies—to perpetuate the war in Vietnam. 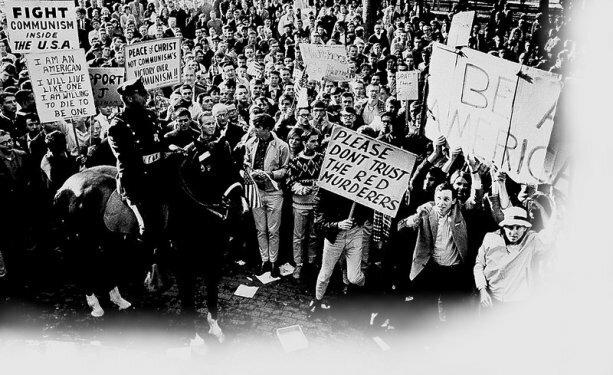 Initially, opponents of the war in Congress, the media, academia, and the antiwar movement attacked the ideology of containment or its application to the war in Vietnam. But, as this book shows, these efforts failed to convince the American public to oppose the war. In 1968, a few opponents of the war switched tactics, instead attacking President Johnson's credibility. This new tactic was so effective that other opponents of the war quickly followed suit. Ultimately, this tactic was so successful that it ended the war and permanently altered the way Americans debated military interventions. Pat Proctor is a US Army field artillery lieutenant colonel with over twenty-two years of active service. In 2007, he served in Iraq as a member of General Petraeus’ and Ambassador Crocker’s Joint Strategic Assessment Team, mapping the future for post-surge Iraq. Pat returned for a second tour, in Northern Iraq, as a battalion operations officer in the 1st Infantry Division. Lieutenant Colonel Proctor also deployed to Afghanistan as the chief of plans for the 1st Infantry Division. Lieutenant Colonel Proctor holds a doctorate in history from Kansas State University. He also holds masters of military arts and sciences for strategy and theater operations from the US Command and General Staff College and the School of Advanced Military Studies, respectively. Pat is the author of Task Force Patriot and the End of Combat Operations in Iraq (Government Institutes Press, 2011), an account of his deployment to Iraq from 2009 to 2010. Other recent publications include “Message versus Perception during the Americanization of the Vietnam War” (The Historian, Spring 2011), “Fighting to Understand: A Practical Example of Design at the Battalion Level” (Military Review, March-April 2011), and “The Mythical Shi’a Crescent” (Parameters, Spring 2008 and Iran International Times, 23 May 2008). To learn more about Pat Proctor and his other works, click here. Copyright © 2017 ProSIM Company, Inc.